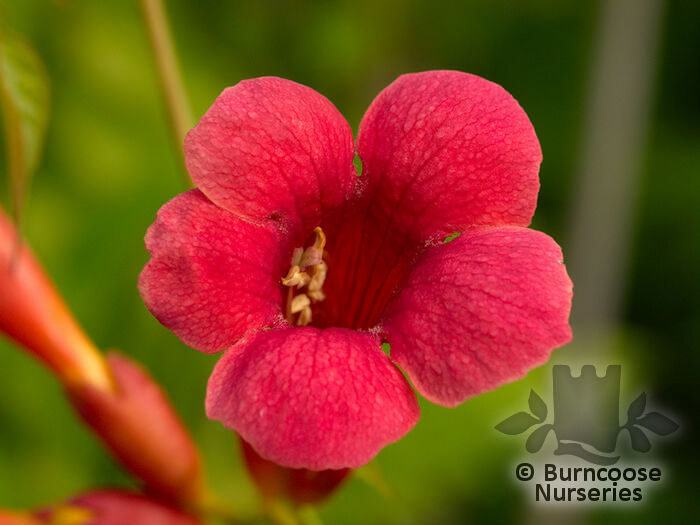 Genus of 2 species of vigorous, woody, deciduous climbers usually climbing by aerial roots. They originate from woodland in China and North America. 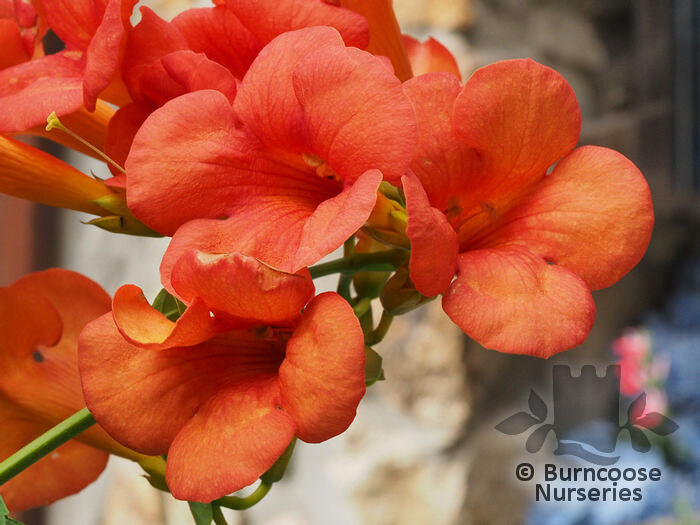 Their exotic appearance belies their ease of growing given a south-facing warm wall. Deciduous - pinnate leaves with oval leaflets. 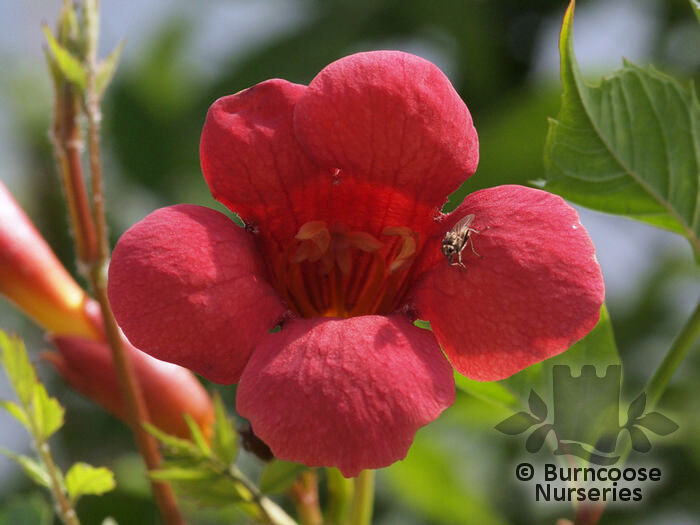 Climber - Some of these climbing plants will need trellis or wire supports if grown on walls or fences. Other grow aerial roots and are self-clinging - vigorous, woody climber, usually climbing by aerial roots. Showy, trumpet- or funnel-shaped flowers 6-8cm (2½-3in) long. 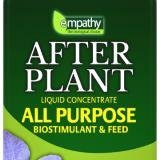 Additional Features	- Pests & Diseases - scale insects, mealy bugs, whiteflies, powdery mildew, leaf spot. Place of origin - China, North America. 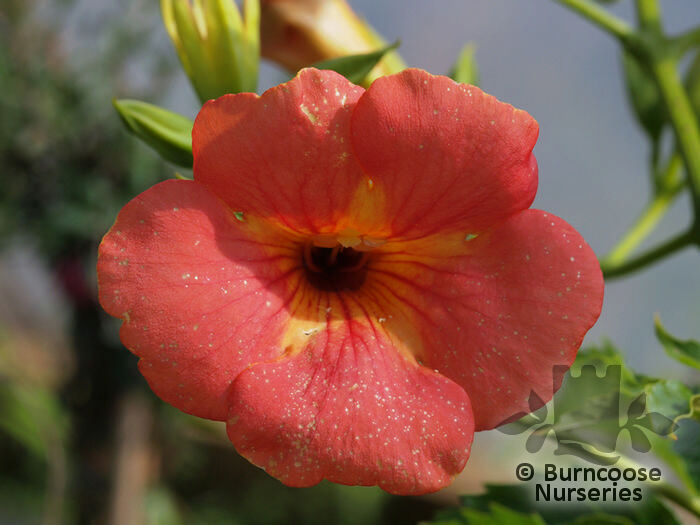 Commonly known as: Chinese trumpet vine. 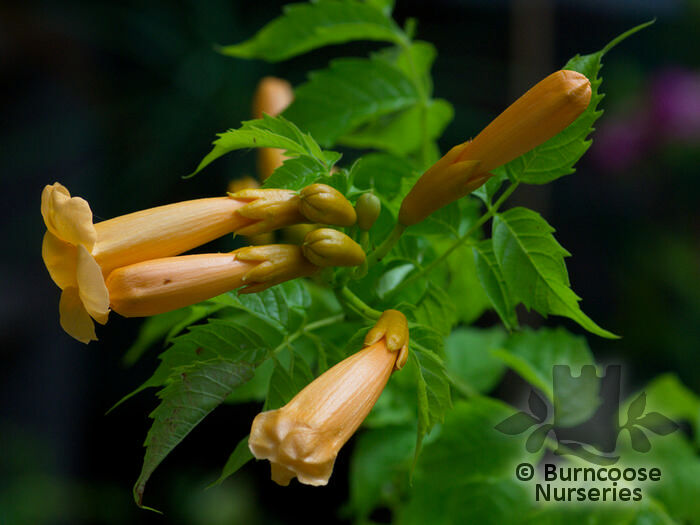 Commonly known as: Common trumpet vine. 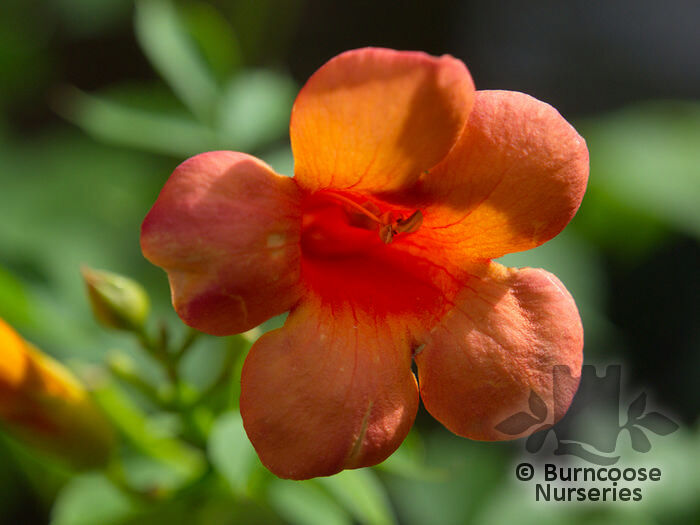 Commonly known as: Trumpet vine.